In the spirit of the well-known song, The Twelve Days of Christmas, our writers will be counting up from 1 to 12 as we bring you a numbered, Disney-themed subject on each day leading up to Christmas. 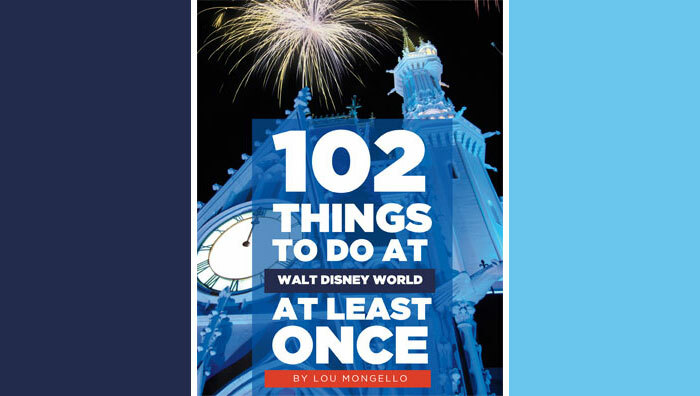 Every time Sean and I go to Walt Disney World, we always try to do something different – whether it be eating at a different restaurant, staying at a different hotel, trying new foods, riding new attractions or attending different festivals. Whatever it is, it’s always something new. We wanted to share with you two really exciting, different, and special ways to experience Walt Disney World: One is through a meal; one is through a tour. So, several years ago, Sean and I were planning to visit Walt Disney World shortly after our birthdays, which happen fall on consecutive days. 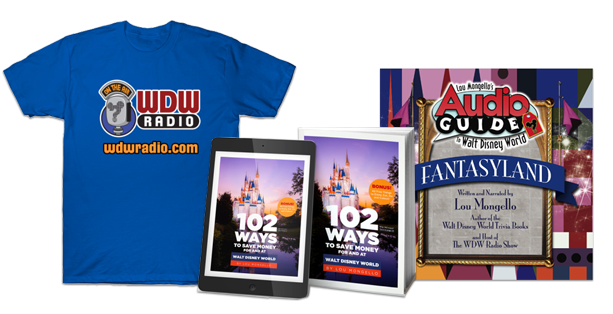 I kept trying to think of what to get him as a gift, and knowing we were going on this trip, I immediately scoured the Walt Disney World website for ideas. I wanted something truly unique, but affordable at the same time. 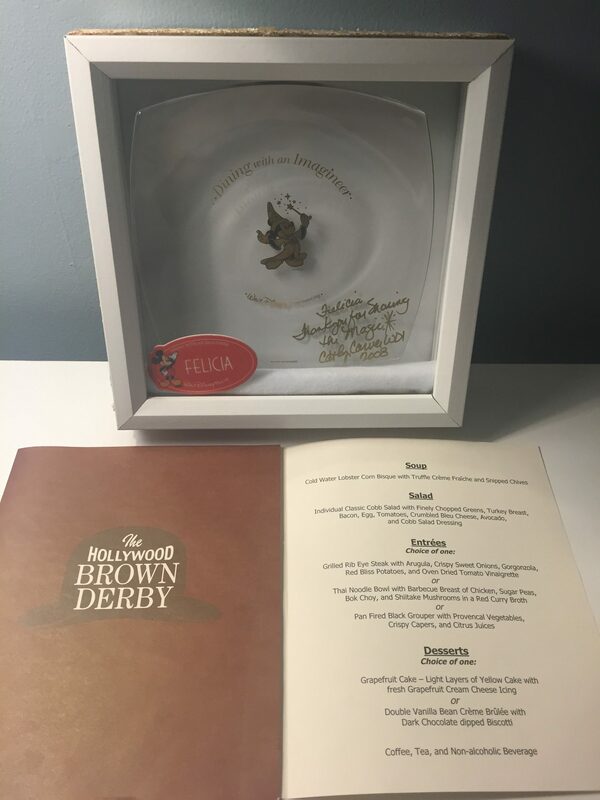 I stumbled across Dining with an Imagineer: a four-course lunch in a private room in The Hollywood Brown Derby at Disney’s Hollywood Studios with a real Disney Imagineer. I knew this was perfect, so I booked it! This was before you could book your reservations online, so it was a little tricky to book: 180 days in advance, I had to call right at 7 a.m., when the phone lines opened to book. The only way I can describe it was like snagging tickets for a concert way back in the day, say 1997, when you had to call to purchase them. I knew seating was limited to only eight people per lunch, so my pulse was racing to get this reservation. The reaction Sean had when he opened his gift telling him this was coming was priceless and definitely worth it! When the day of our lunch arrived, we were immediately treated like VIPs. We got our own special name badge, we were escorted to the private Bamboo Room of the Brown Derby (which is gorgeous! 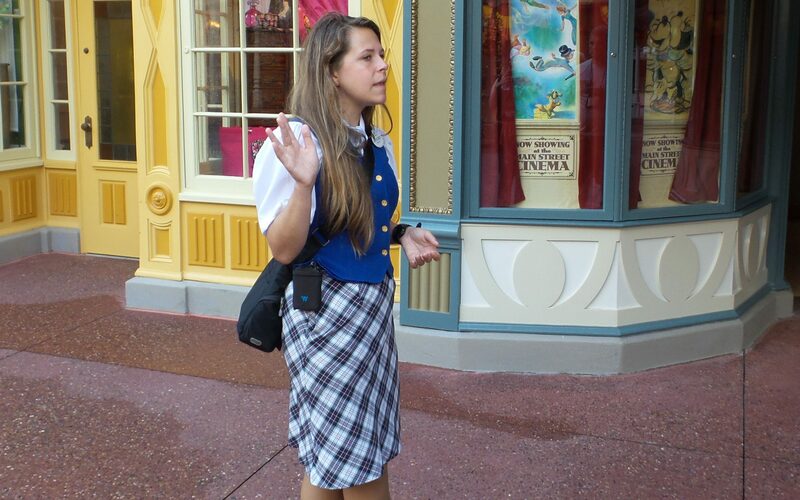 ), and we waited for our Imagineer to show up. You don’t find out who your Imagineer is until that day, and ours was awesome! Her name was Cathy Carver. If the name doesn’t sound familiar, her work will. She was the Principal Interior Designer for the Cinderella Castle Suite during the Year of a Million Dreams celebration, amongst other things. If you want to talk about an amazing experience, there’s nothing like being at the same table with someone who works so closely within the Walt Disney Company. On top of that, the food was out of this world! A four-course meal included soup, their famous Cobb Salad, a choice of three entrees, and a choice of dessert which included their, just as famous, grapefruit cake. As a special keepsake, we each received a signed glass plate commemorating our meal. Sean hardly said a word during the whole meal, which had me a bit nervous because, if you know Sean, that rarely happens. Afterward, he said he was so in awe he couldn’t find the right words to say. He just couldn’t believe he just experienced what he did. He said it was the best gift anyone could have gotten him. I scored major points for that one! For a totally different experience, try a tour. Some of the tours, like the Behind the Seeds tour in Epcot’s The Land pavilion, we had already done; others are either out of our budget, meant for families with kids, or revealed too much behind-the-scenes magic for us. The Marceline to Magic Kingdom tour, however, was just right. This three-hour walking tour starts before the Magic Kingdom Park opens to the public and takes you through each land showing how events in Walt’s life influenced each part of the park. Again, just like Dining with an Imagineer, you are given your very own badge, a bottle of water, and a personal earpiece, which helps you hear your tour guide throughout the tour. There is something so special about being able to tour the Magic Kingdom before anyone else that day. When the park is quiet, with only your group and your guide, you really feel like you are experiencing something truly magical. We even saw a bride and groom who were taking their wedding photos in the park, an extra bonus for me! The tour does take you behind the scenes of one attraction, we won’t say which one so as to not spoil the surprise for anyone thinking of taking the tour. It was just enough behind the scenes for us. The whole rest of the trip, every time we went to the Magic Kingdom, we kept saying we were only one of a few people who knew the secret Cast Member entrance to this particular attraction. So, if you are looking for different ways to spice up your Disney trip, these are two of our recommendations. Have any of you enjoyed Dining with and Imagineer or Marceline to Magic Kingdom? Have you done any other dinners or tours that are really unique and different? Leave a comment and tell us all about it, and be sure to join us tomorrow for Day 3 of the WDW Radio Christmas Extravaganza! I had seen the Dining with an Imagineer opportunity online, and it sounds like it was just as amazing as I expected! I had also seen the Marceline to Magic Kingdom tour listed, but I had not looked into it extensively. I think that would be a fascinating tour to take. Plus, the early entry sounds great, too.